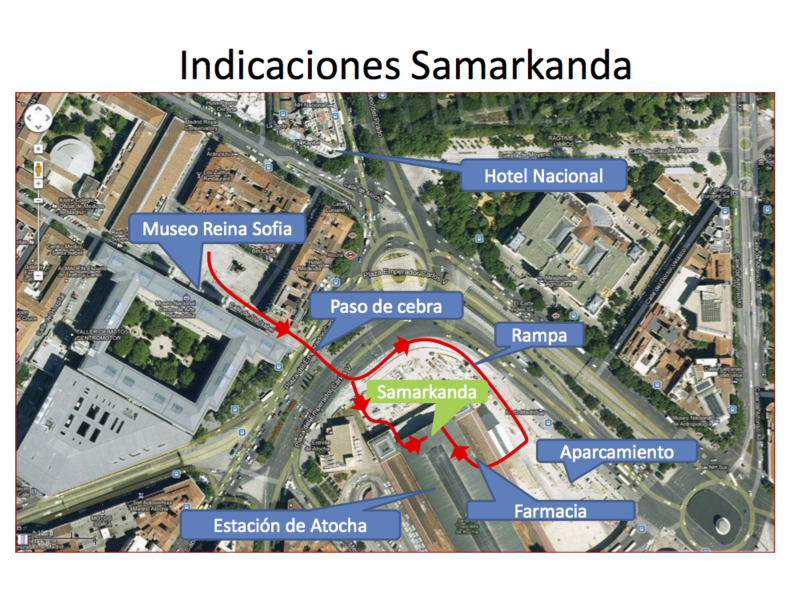 The dinner on Thrusday is at 20:45 at Samarkanda restaurant. 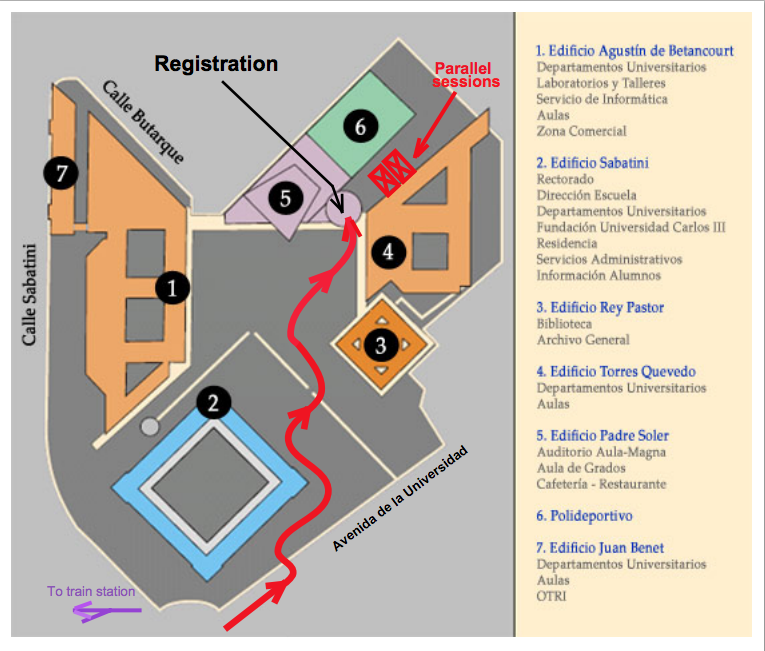 The ALAMA 2012 registration desk (see map below) will be open on Wednesday June 27th from 1:00 PM through 3:30 PM. Among the conference material you will receive upon registration are lunch tickets for all three days, including Wednesday, so if you arrive early, you may have lunch at the University cafeteria. 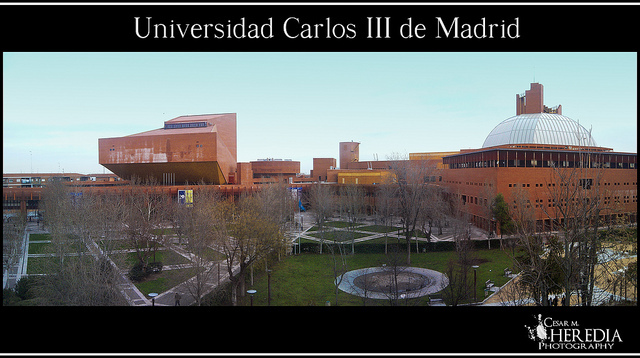 Place: Leganés (Madrid), Universidad Carlos III de Madrid. Goals of the Meeting: The ALAMA Meetings are being held every two years since the Thematic Network ALAMA (Linear Algebra, Matrix Analysis and Applications) was created in 2007, and are an opportunity to gather scientists interested in linear algebra in its widest sense, whether they are members of the Network or not. The goal is to bring together for three days, in an environment favoring work and exchange of ideas, researchers whose work has some connection, one way or the other, with linear algebra, matrix analysis, matrix theory and/or their possible applications in different contexts. We thus hope to cover a wide spectrum of interests, both from a theoretical point of view and from a more numerical and/or computational viewpoint, not forgetting the eventual practical applications. ALAMA 2012 is the Third ALAMA Meeting since the creation of the ALAMA Network in 2007, and this third edition is celebrated in honor of Prof. Rafael Bru. ALAMA 2012 is organized in cooperation with the Society for Industrial and Applied Mathematics (SIAM) through its SIAM Activity Group in Linear Algebra (SIAG/LA), as well as the International Linear Algebra Society. Financial support from the European Network on Numerics in Control (NICONET) and the Spanish Applied Mathematics Society (SEMA) is gratefully acknowledged. Reception: up to April 22nd, 2012. Acceptance: will be communicated shortly after reception.